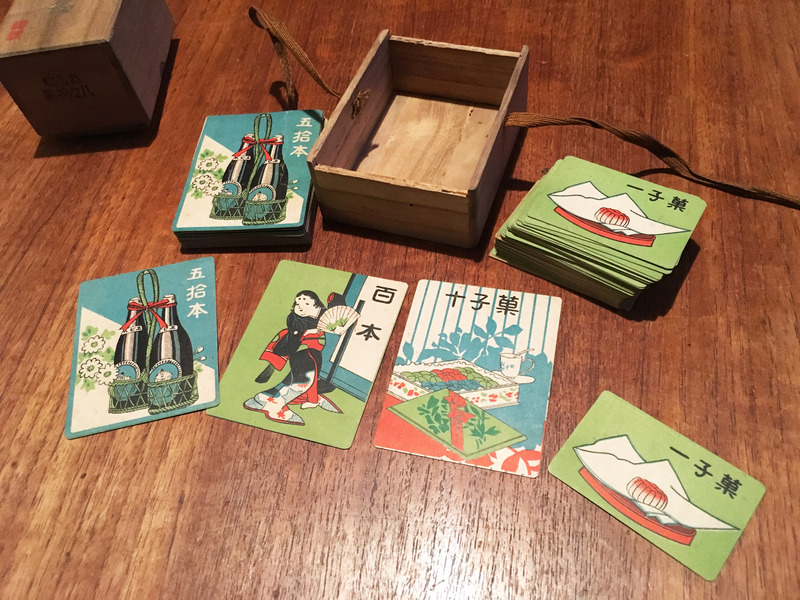 Pre-WW2 Nintendo Hanafuda (花札) – cards and gambling kit – Nintendo Sega Japan! 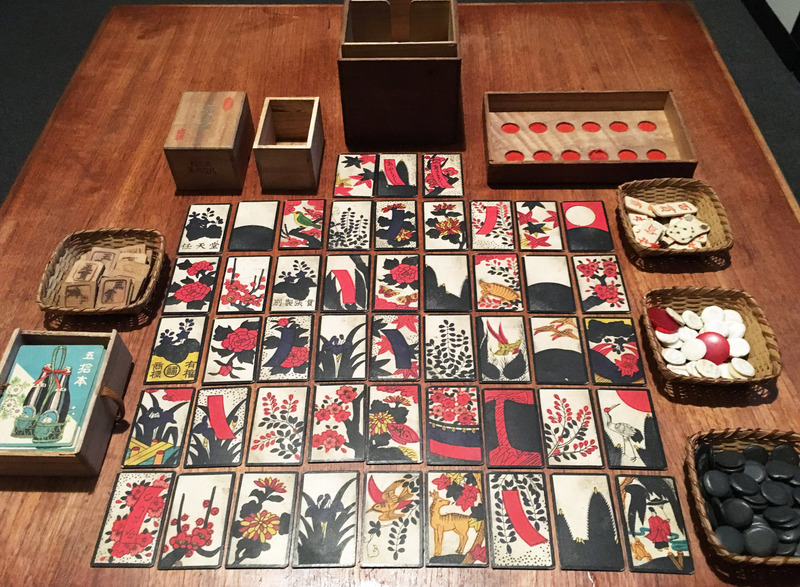 This is my oldest Nintendo item, a set of original Nintendo Hanafuda. 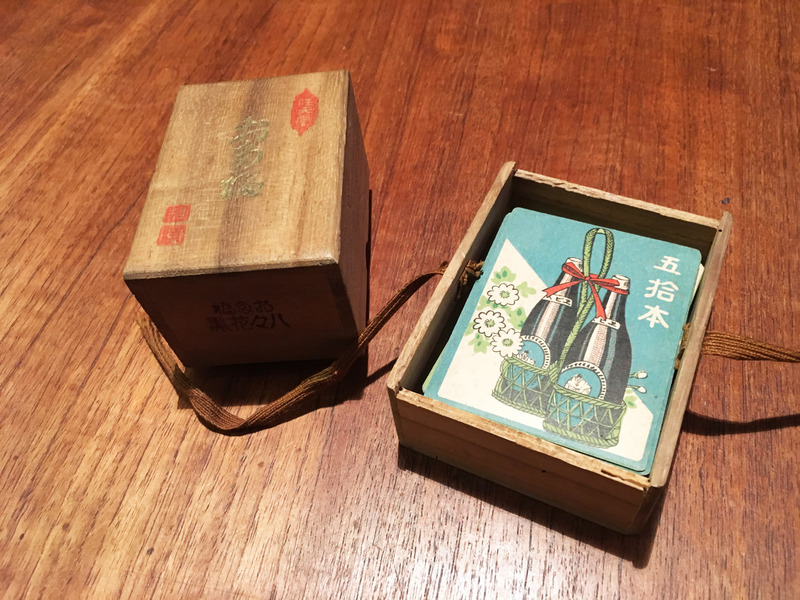 I’m not sure of the exact date of manufacture, the seller said the kit was ‘pre-war’. Given the superb condition it seems likely it is from quite late in that prescribed period. 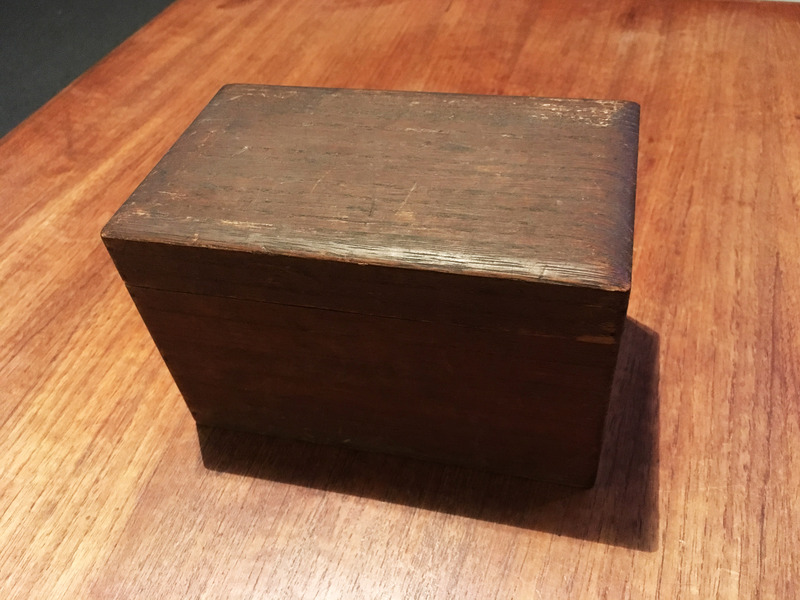 The set is contained in an unassuming wooden box. 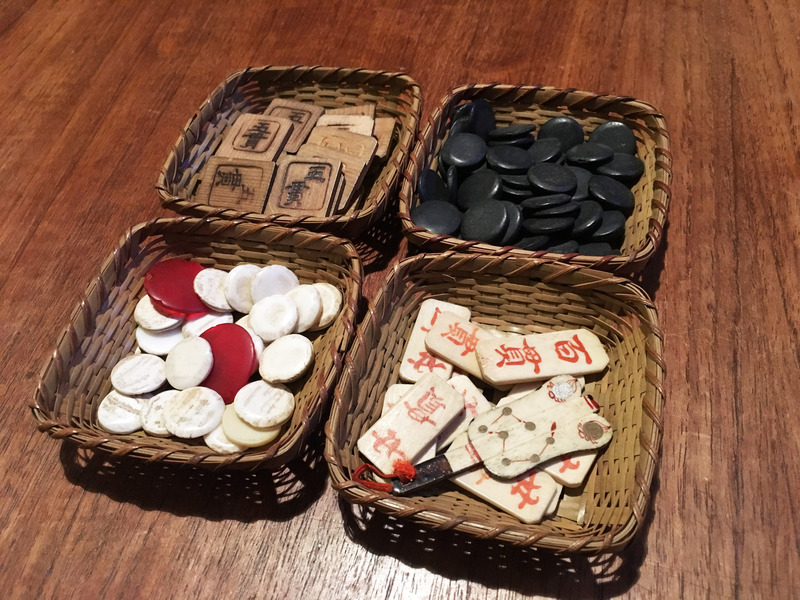 In which fit the gambling paraphernalia and cards. 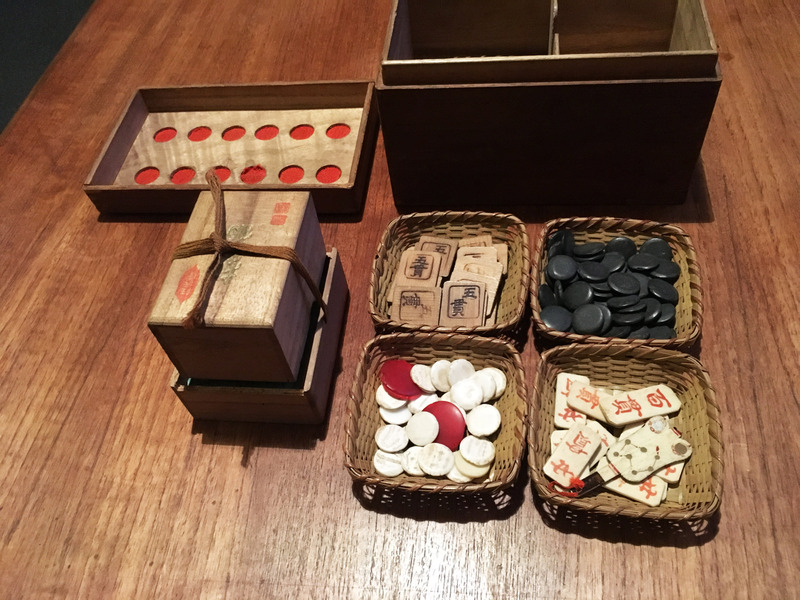 I have no idea if the the non-card items are Nintendo made, but the kit is clearly built around the box of Nintendo cards and it all fits together very neatly. 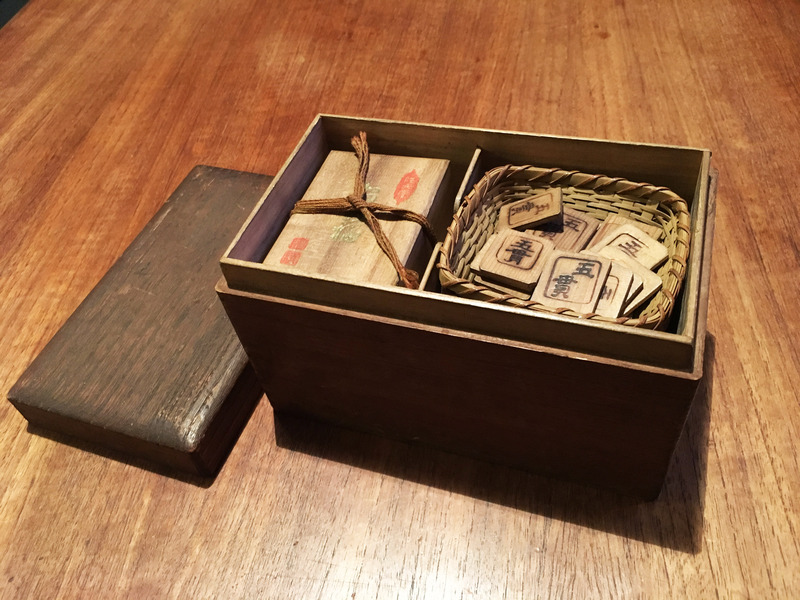 Under the main card box is a tray of other gambling related items. 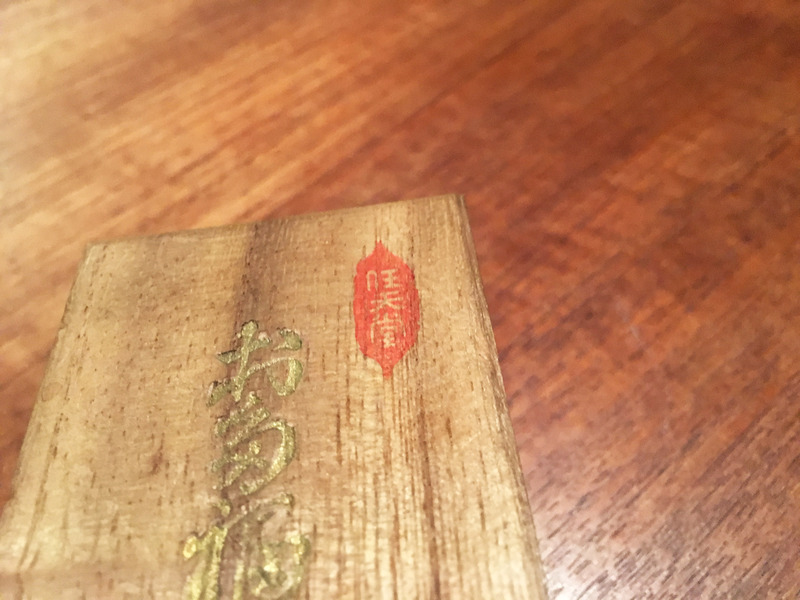 The card with the woman on it says 百本 or something like ‘a hundred points’. 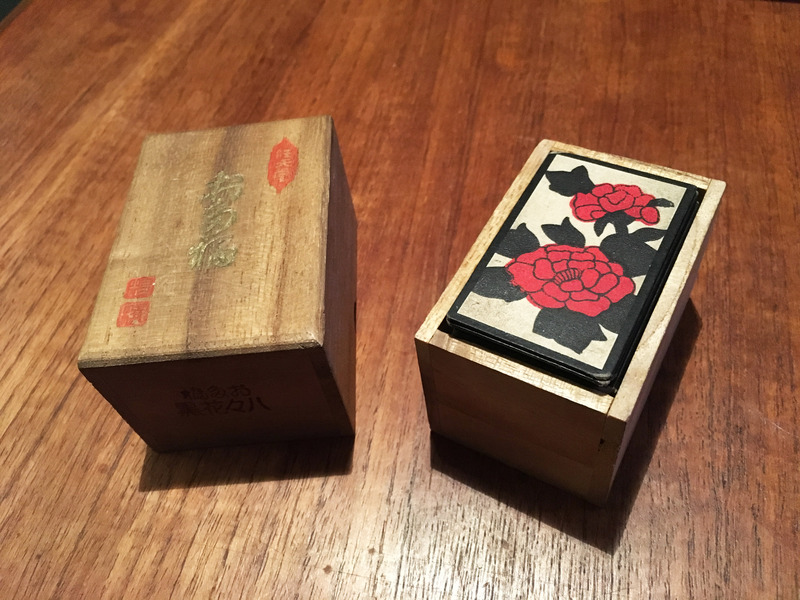 The small Hanafuda box itself is where we can see the original Nintendo branding. 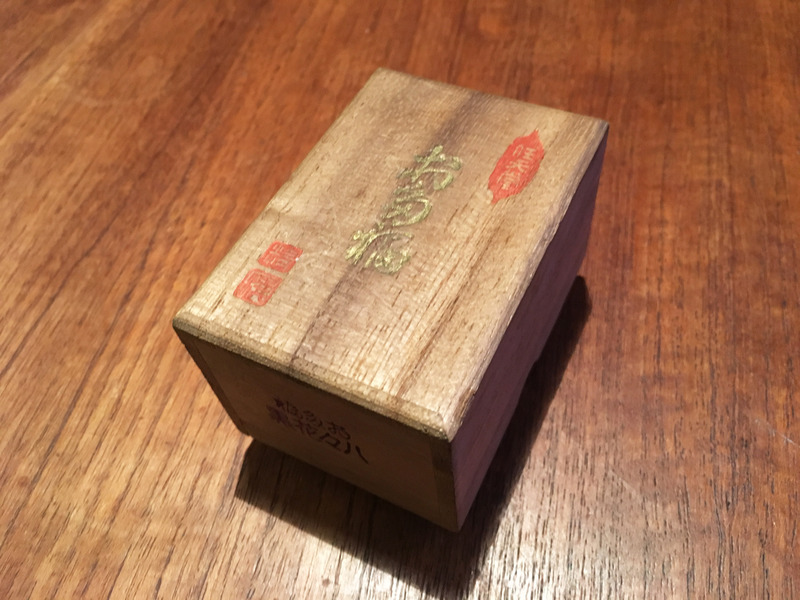 任天堂 – Nin Ten Do – in the original kanji logo. 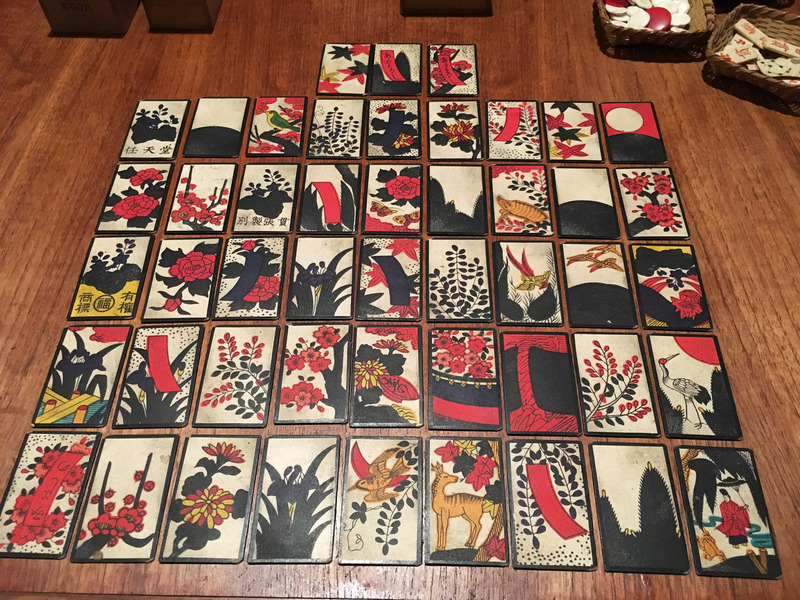 The lid lifts off to reveal the beautiful Hanafuda (花札) – literally ‘flower cards’. The cards themselves are quite beautiful and well made. These three cards are branded. 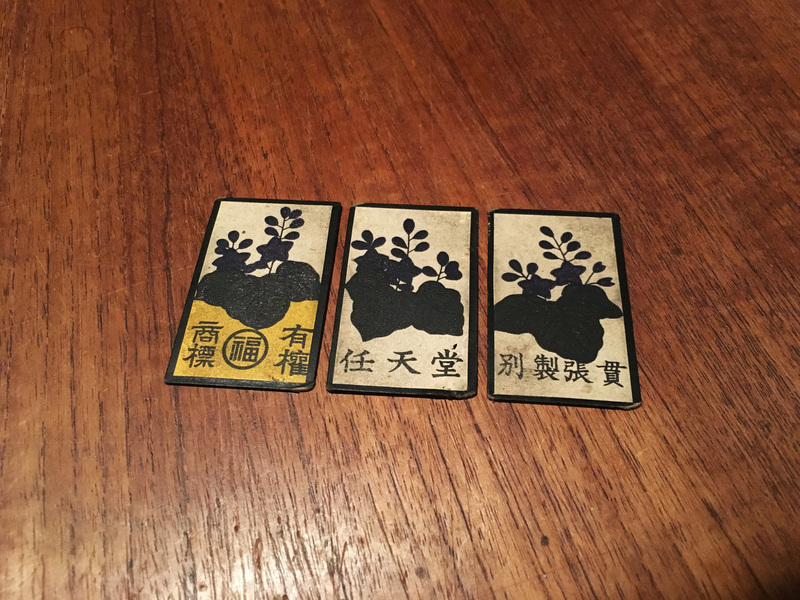 The left card has the Nintendo Playing Card logo, and the middle is branded with 任天堂 Nin Ten Do. 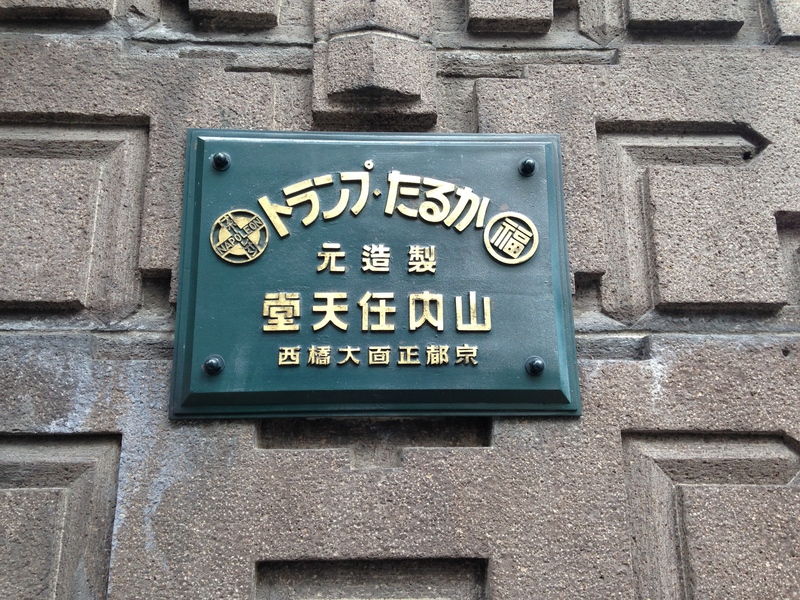 You can see the matching logo on the plaques at Nintendo’s old HQ in Kyoto. 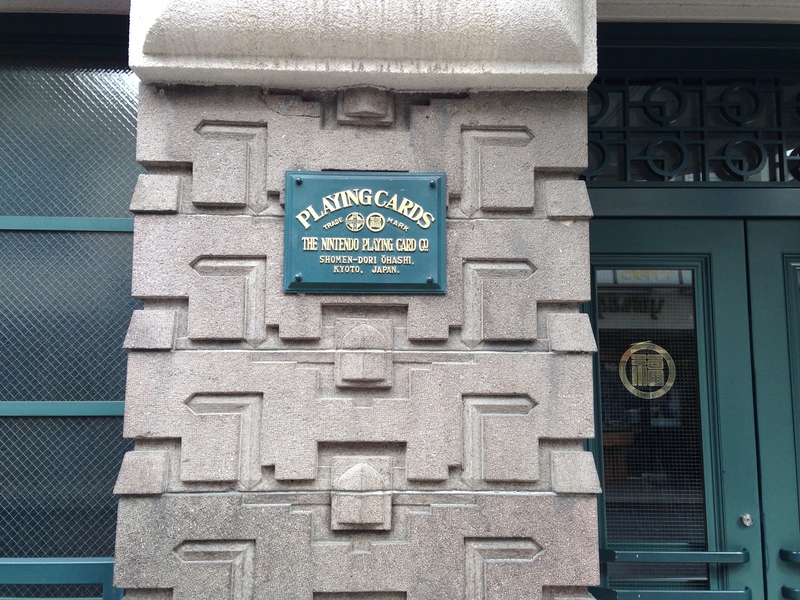 The same logo is on the door on the right! Next Article Sega games on Nintendo consoles – a history. Wow, where did you find it? Where can I buy one?